So, j00j suggested that I write something about comics. That’s a big topic for me, and has several dimensions. I mean there’s the whole “my history reading comics” angle, and the “comics I like” angle, and the “what tools am I using to make comics?” angle and even the “what comics am I working on?” angle. So I’m gonna try all of that. But probably not all in one post. First, history. I’ve said before that the house I grew up in didn’t really have many books. My parents weren’t readers, and I didn’t start reading until they taught it in school. I attended Rosedale Public School for nine years (kindergarten to grade 8 school). There wasn’t much distinctive about Rosedale. It was built in the mid-fifties, and had two classes of each grade. The classes for grades two and three laid out in an open concept in an area that surrounded the school’s library (although we never called it a library; it was apparently a “resource centre”). Anyway, in grade three (1974/1975), the teachers introduced a reading period, and encouraged kids to bring books to read, and to show them off to other students. And that was how I was first introduced to comics. Several other kids had comic books. 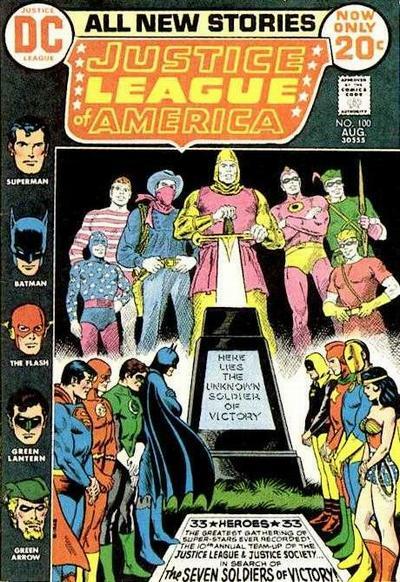 Popular books at the time included Richie Rich and Baby Huey and Hot Stuff, the Little Devil , but I was most fascinated by one comic in particular: Justice League of America #100. I’m not 100% sure, but I think by that point I’d already watched the Batman TV series so I knew who Batman was. What’s more, the particular issue dealt with the parallel worlds of Earth-1 and Earth-2 (a topic that Star Trek had already prepped me for) and contained a number of heroes who caught my attention. I was hooked. Not long after that, I started getting my own comics, and I traded some in exchange for that issue of Justice League . That comic probably did a lot to inscribe my primary tastes in books: mostly, I bought super hero comics, mostly team books, and the Justice League and Justice Society were long-time favourites of mine. It’s probably true that I favoured DC over Marvel, but I read both. For most of the years that I bought comics, I would purchase them from convenience stores. Usually, they were on spinning racks and tended to have bent spines. There were two convenience stores near my house that stocked comics, but collecting whole series was a bit hit and miss. Too many times, I would get the first part of the story, but somehow never find the second part. The people who worked in the store could never tell you anything about the comics, but eventually I pieced together the delivery schedule (comics arrived on Thursdays!) and that improved my success rate at finding each issue. By the time I started high school (grade nine in 1980), I was reading Justice League , Avengers , X-Men , Teen Titans , Legion of Super-Heroes and more. A certain number of my friends read comics, too, but it definitely seemed like an uncommon interest in Sarnia. These days, I’m a bit surprised by how popular comic-based movies are because it didn’t seem like comics were all that popular when I was growing up. In the next couple of years, comic book specialty shops started to become a thing. DC, in particular, did this thing where some of their titles were only offered in comic book shops. Sarnia, initially, didn’t have a comic shop, but there was a big comic shop across the border in the booming metropolis of Port Huron, Michigan. One of my friends father would take us across the border to the comic shop, and we’d load up on the latest comics. Toward 1984 and 1985, a couple of comic stores attempted to succeed in Sarnia, but none lasted very long. Indie comics started to become popular at that time as well: I found myself interested in Miracleman , American Flagg , Dreadstar and others. Against the advice of the guy who own the shop, I failed to purchase Teenage Mutant Ninja Turtles , which had suddenly become a surprise hit. By fall of ’85, I was off to Kitchener-Waterloo, Ontario for university. In the time I lived there, K-W had at least two (and sometimes three) comic shops, and I could keep my regular comic habit going. I was in a co-op program, so I spent four months out of every eight in Toronto, where comic book shops existed in abundance. Those were the years of V for Vendetta , Watchmen , The Dark Knight , Sandman and Crisis on Infinite Earths . 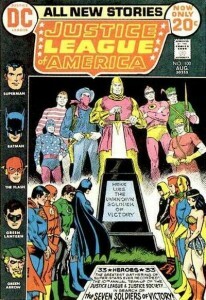 And let’s not forget Justice League Detroit. 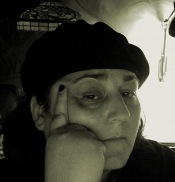 I was trying all kinds of things. I even bought a collection of Stig’s Inferno in those days — my first exposure to Ty Templeton’s work. The other big thing that I recall from my university days was my first exposure to Usenet, and the Usenet group rec.comics (which became, after the great renaming, rec.arts.comics). That was, probably, my first real exposure to a broad-based comic book fandom. I did have two primary cooling periods regarding comics. In the nineties, I felt like comics had become too gimmicky. Variant covers and foil-wrapped books. I started to lose interest. Eventually, I was down to only buying Sandman and when that ended, I stopped. I started buying them, again, a few years later. I was living at Roxton Manor, just a stone’s throw away from Dragon Lady Comics on College St. One of the guys who worked at Dragon Lady, Joe, was the kind of guy who recognized people’s tastes and could make informed recommendations. I got in to Warren Ellis (especially Planetary and Global Frequency ) and Powers and Zero Girl and Queen and Country . I was pretty fond of the Ultimates — at least at the beginning. And I cooled off again in the mid-00s, when I moved away from Dragon Lady. These days, I don’t read many things regularly. 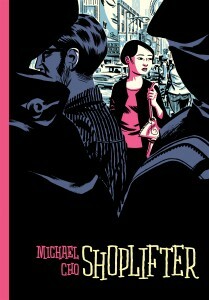 I’ve been most interested in two stories: Rocket Girl and Velvet . I’m also pretty hooked on Parker . I’ve picked up the Hawkeye trades and I sample a large number of indie books. I’d probably also do a shout-out to some of the stories done by my studiomates: Beauty and the Beast by Megan Kearney and Take Off and Godslave by Meaghan Carter. 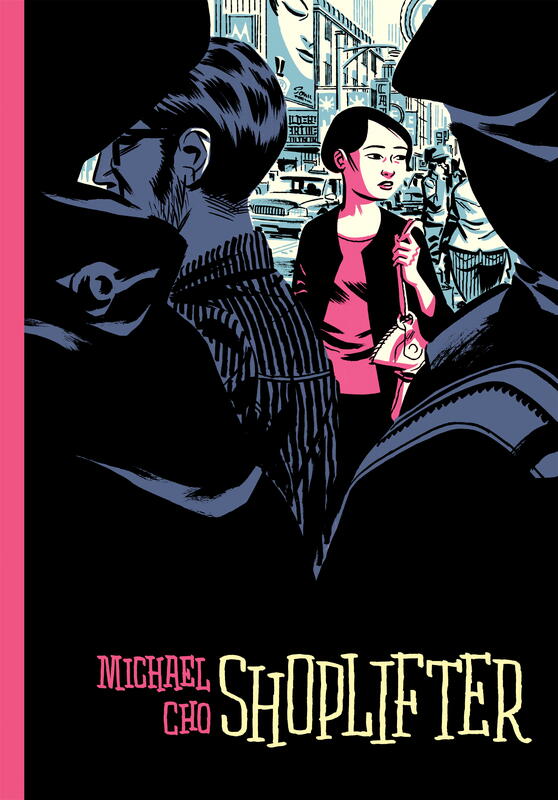 And to other Torontonians: for example, Michael Cho’s book, Shoplifter is one beautiful book. The Tamakis’ book, Skim is wonderful. I feel like I should give Saga another try. The first trade failed to really capture my interest, but everyone raves about it so I often think I should give it a second shot.